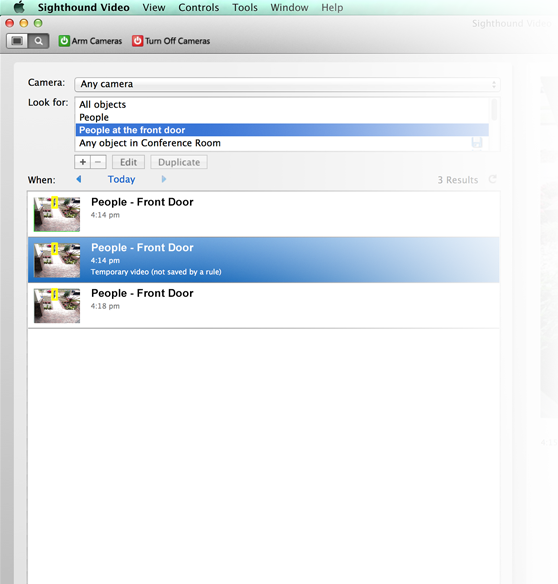 Sighthound Video stands out from most other IP camera security software for its sophistication and simplicity. The software hides some very advanced computer vision technology behind an intuitive interface. Even novices can set it up in minutes. Normally for software to be this easy to use you are limited to a closed ecosystem, and yet Sighthound automatically finds pretty much any IP camera or webcam that is connected to your network. And unlike other high end IP camera systems, where you have to speak to a sales rep to get to try the product, with Sighthound there is a free version available for download. Take a look at the screen shots and videos below to see why thousands of people already think that Sighthound Video is the best thing to hit the IP camera software market in years. Available for both PC and Mac. Once you are ready to give it a try, you can download Sighthound Video here. The Rule Editor defines a specific type of event to find in previously recorded video, or to take action (e.g., save, notify, or play a sound) if events like it are seen in the future. 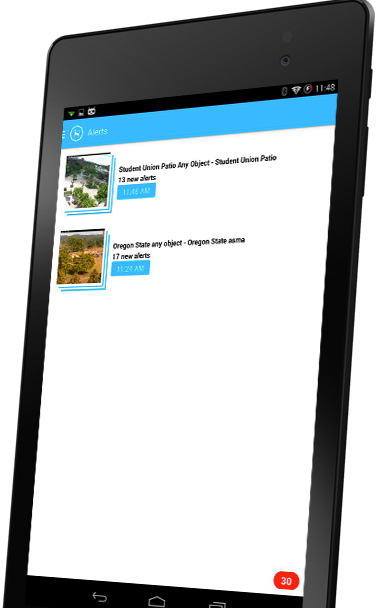 With the rule editor, customize the video source, what gets analyzed, zones, and the types of alerts you’ll receive. Watch a quick video to see how it's done. Sighthound Video security software has powerful search capability. Sighthound can analyze clips, retrieving ones that match only your search. Think of it as the Google search for your home security software. Sighthound uses computer vision to analyze your video stream to look for human beings, so alerts become much more meaningful. One of the main reasons customer buy Sighthound is to cut down on false alerts. 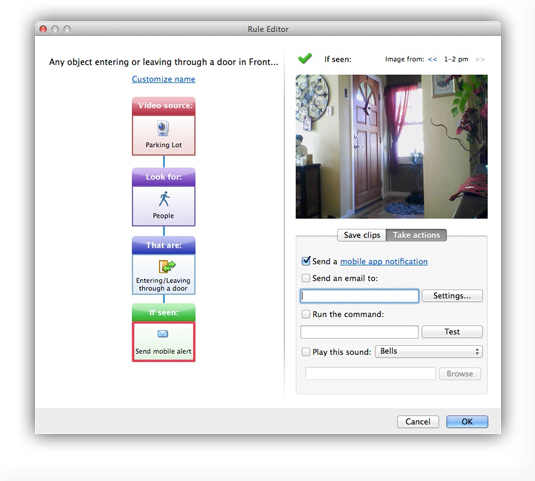 The software adds a new level of intelligence to IP camera security software.